Girls on the Run is a transformational physical activity-based positive youth development program for girls in 3rd-5th grade. 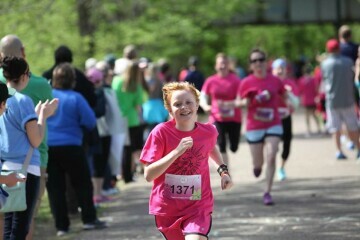 GOTR teaches life skills through dynamic interactive lessons and running games. The program culminates with the girls being physically and emotionally prepared to complete a celebratory 5K running event. Donate or volunteer to be a running buddy, a coach, or help with events, fundraising or writing grants. Program runs February-May.